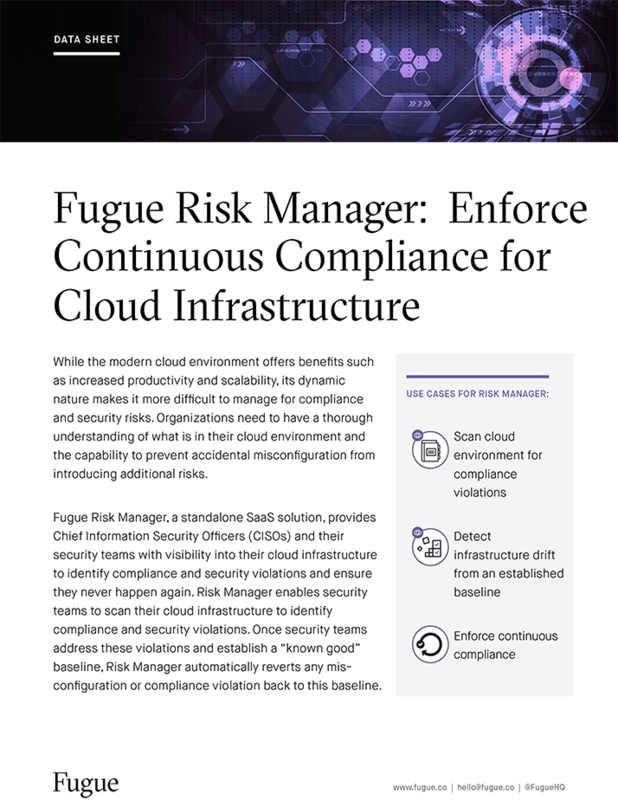 DevOps tools and practices enable enterprises to save time and money in rapidly iterating on smart, fast software deployments. But security is often neglected or avoided because of the perception that adding security will dramatically slow the pace of development. 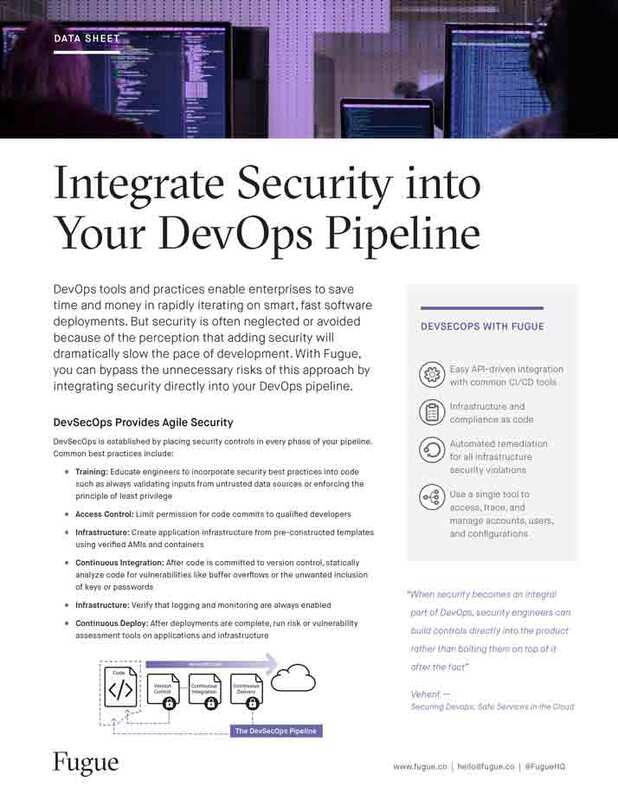 With Fugue, you can bypass the unnecessary risks of this approach by integrating security directly into your DevOps pipeline.